Variable printing, also referred to as variable data printing, lets you transform the information you already have — name, address, spending habits — into a personalized, printed piece that becomes a powerful marketing tool for generating leads and driving sales. Say you’re an electronics retailer. With a person’s name, address and buying history, you can customize text, photos and graphics to inform your customer of the latest upgrades, tell them their warranty is about to expire, incentivize them with a photo of the newest accessories and upsell them to a larger-priced item. All in one piece, all from just the small amount of information you already have on hand. It’s not just variable printing, it’s a marketing solution you can take to the bank! 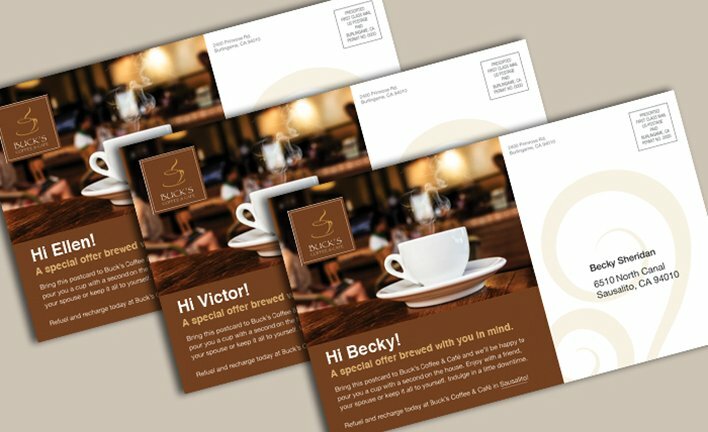 Variable printing is a technique of digital printing that allows you to do mass customization rather than mass production of a single message. It’s the technology behind one to one marketing or personalized marketing. Wherever your prospect or customer is in the buying cycle, variable printing can help increase your impact, boost sales and maximize your marketing ROI. Consider variable printing for generating sales and increasing brand loyalty for the long-term sustainability of your business and call Dynamark in Nashville.